May | The Happy Wonderer ~ ellen b.
It’s boughs the sight in winter greet. As summer scatters on the scene. Those fires of God – those gems of light. Posted on May 1, 2009 by Ellen •	This entry was posted in May Day, Spring and tagged Flowers, Poetry, Welsh. Bookmark the permalink. ← Friday’s Fave Five ~ Food again??? It’s even prettier in Welsh. I love forsythia. That’s one of my favorite signs of spring with its delicate yellow flowers. It seems like those bushes go from bare to covered in yellow overnight. You captured their beauty so well here. Happy May Day. PS I was sorry to read in your prior posts about the Cancun wedding being changed due to the flu outbreak. That’s a shame. What a LOVELY LOVELY shot! Can you believe it was cold here in AR, and we had to turn on our fireplace?! These are just beautiful! i love forsythia! Weather here is still warming up so our bushes have not yet bloomed. Although, most of the trees have reenergized themselves with leaves and blossoms. And my dear hubby has started cutting the lawn for the season. 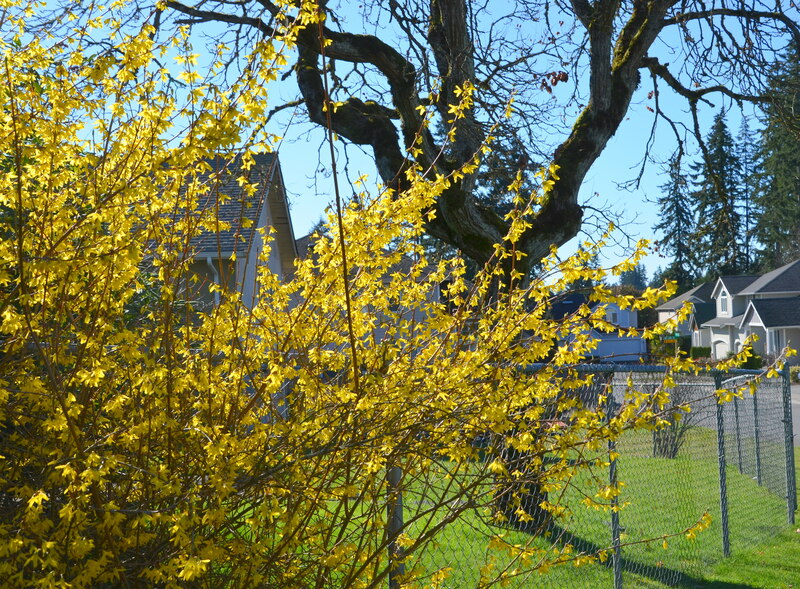 Beautiful forsythia, Ellen! I guess I just love any yellow flowers! They are always so sunshiny and cheerful.